Dear ones, we wish to encourage you to go within when you feel doubt, fear or anger. There are many things at the moment that you feel doubts about: Disclosure, Energy, life on the planet, the animal kingdom, finances, etc. We put it to you that this is food for your head and emotions, others would consider it as a means to keep you distracted by keeping your mind occupied by worries, endless debates, arguments, and power struggles. This is all part of the illusion that the mind enjoys engaging in in order to distract from the deeper truths. The deeper truth and all the answers can be found within, when you are at peace, when your mind is calm and your emotions are settled. There is a time and space for those kind of considerations, as your world is based on the thinking world, as well as the reactionary world for the most. This is however mainly on a surface level, without a real depth of thinking or pondering. I am referring to the fact that truths are shown when your higher self, or spirit inhabits your body and is giving you the answers that you need, is opening your eyes to what you need to see and is focusing your ears on the information that you need at the right time. There is a mix and remix of truths and lesser truths being circulating on your internet, the only way you can know what is truth for you is to see with your heart and with your higher intelligence. You live in a world of confusion and half-truths being promoted and pushed on your mind. This material is being presented to you by the media, by news and magazines, by your television set, by your GP, by your accountant, by your neighbour. While these may stand true to these people, do these truths apply to you ? Does what is being presented work for you ? We have entered times when you are actually shaping your own truths and realities. You are embodying your own true God, your own divinity and higher potential. What matters most is not to take things at face value, but to question everything, including, and especially your own self, your own ideas and thinking process. Ultimately the heart will show you the way, it is the most intelligent part of the human body, together with your intuition, also called higher thinking. We continue to point out that following a healthy spiritual routine is the best way of growing and expanding your consciousness for many on your planet at this time. Do not follow any teaching blindly if it does not resonate with your own personal values and integrity. Ultimately what matters most is the feeling of unity with the One Being Creator that also lives within all of you and all of us. Indeed we are all connected on many levels, some of those levels are material and others are of a much more subtle nature and spiritual nature. Enjoy the last few years, which to us are bare few moments of uncertainty, doubt and fear. These emotions belong to you and help you grow and build on them in order to open your own eyes. We are here, as your guardians, to support you on your awakening journey towards a new Dawn for Humanity. 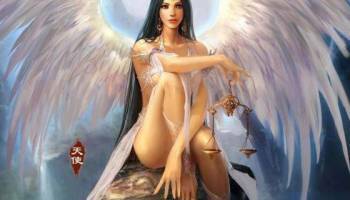 We are here to guide you spiritually on this amazing journey, along with your own Higher Self, guardian angels and guides. You are the ones who have to do the journey, the ones who have to do the awakening part. We are merely here as supporters and observers, and at times of protectors of sort. I am SaLuSa from Sirius and we send you all our love from above your planet, within your galaxy. This entry was posted in SaLuSa to Me. Bookmark the permalink.